We sat these 100 per cent waterproof earphones in a cup of water and wore them in the bath with no bother at all - they truly sound as good underwater as they do on dry land. In fact they even sound a bit better underwater, because there's bugger all ambient noise about and you get this kind of enclosed acoustic privacy that's hard to match with even the best noise cancelling designs. We didn't take them into the sea but OverBoard says they will work to depths of six metres, which we couldn't confirm. 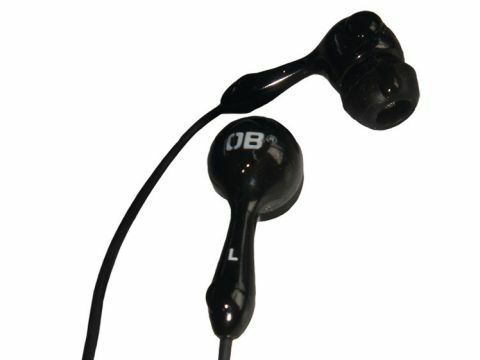 The sound quality is a strong point, particularly for bass-heavy music like dance and reggae. They work best if your ears are dry when you put them in - then you get a seal. If you ears are already wet they can slip about a bit. But given the very reasonable price and waterproofing, that's a minor point. We recommend them, particularly for wet weather ramblers, music loving windsurfers and the more hedonistic bathers out there.